The Department of Psychology and Communication has signed several Memorandums of Understanding with foreign universities to promote student exchanges for one semester or one year. Adam Mickiewicz and Bielefeld universities offer many courses in English. All Universidad del Norte´s university courses are in Spanish. TAMIU students doing a semester or year-long student exchange in a partner university get an automatic $1,000 grant. Pay TAMIU tuition and study in any of the three universities. 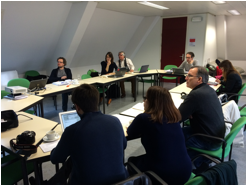 More information: International Engagement, Tel. 326-2282 or studyabroad@tamiu.edu. Every semester renowned scholars from other countries are invited to come to TAMIU to lecture our Psychology or Communication students and to talk to faculty members. Through these visits, the department contributes to the internationalization of students, to the development of agreements of cooperation with the scholars’ prestigious universities and to the recognition of our programs at the international level. Lectured TAMIU Psychology students and met with faculty to discuss possible research projects. Hosted by Ana Cieslicka and Roberto Heredia. Lectured TAMIU undergraduate and graduate Communication majors and discussed possible research projects with TAMIU Communication faculty. 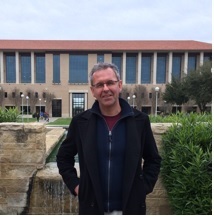 Dr. Joachim Michael will lecture to TAMIU undergraduate and graduate Communication majors and will discuss possible research projects with Communication faculty. 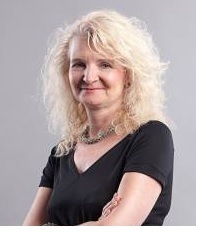 Dr. Katarzyna Dziubalska-Kołaczyk - Oct. 26 – 30, 2015. Chair, Faculty of English, Adam Mickiewicz University, Poland. 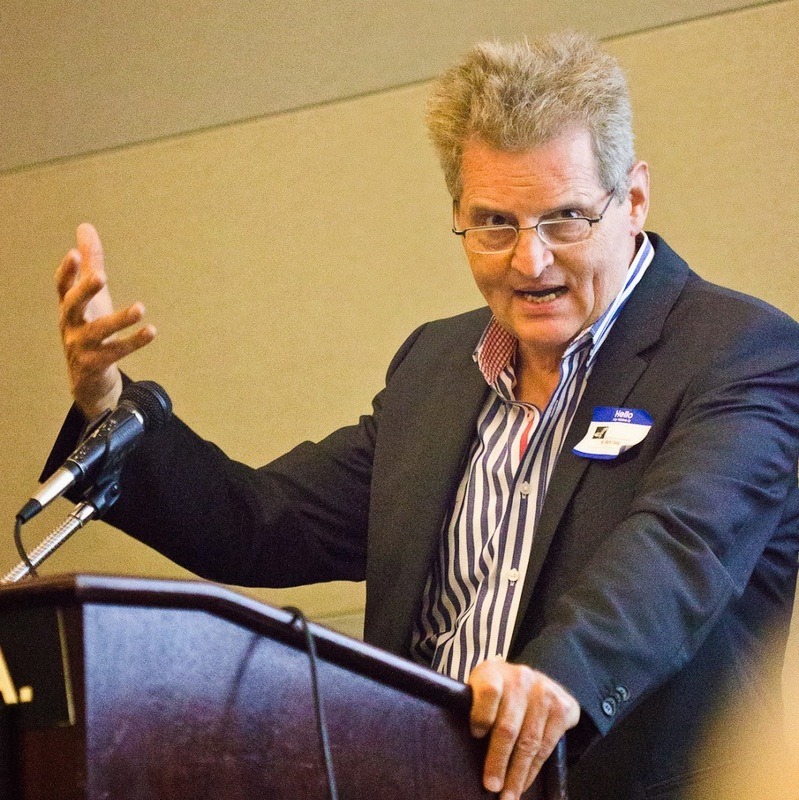 Chair, Professor of North American Literary and Cultural Studies, Bielefeld University. Department of American Studies, Tubingen University, Germany. Political Communication Lab, Universidad Autónoma de Nuevo León (UANL), México. From January to May 2015, TAMIU opened a Communication graduate class to 18 Iberoamericana graduate students via videoconference. 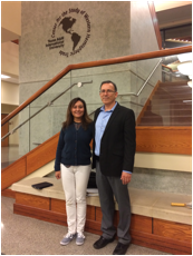 Dr. J. Carlos Lozano, TAMIU faculty member, and Dr. Maricela Portillo, director of UIA’s Ph.D. in Communication program offered the class. In an effort to promote the internationalization of the newly launched TAMIU MA in Communication, the class shared its lessons via videoconference with 14 graduate students and four doctoral students of the prestigious Universidad Iberoamericana-Santa Fé in Mexico City (UIA). Six Monterrey Tech graduate students joined the TAMIU class COMM 5310 Media, Culture, and Identity in the US-Mexico border via videoconference during the 16 sessions of the semester and actively participated in it. The class gave master students from TAMIU the opportunity to learn through the interactions between master's and PhD students from Monterrey Tec. In order to contribute to the internationalization of TAMIU students, the department periodically offers study abroad programs during the summer sessions. 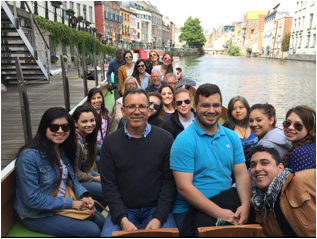 In the summer of 2014, 2015, and 2016, about 15 students, enrolled on the Belgium and Germany program and interacted with faculty and students from Antwerp University and Ghent University in Belgium, and Tubingen University in Germany. In Tubingen, the students worked in teams with German students in a joint research project on the TV series The Bridge. Participation of J. Carlos Lozano as Keynote Speaker in the international conference organized by UAT “Bienal Iberoamericaa de la Comunicacion”, Tampico, Tamaulipas. MOU is in effect. Participation of Anna Cieslicka in the 46th Poznan Linguistic Meeting presenting a series of workshops on how to publish and establishing academic collaborations. Poznan, Poland. Participation of J. Carlos Lozano as chair of a panel in the conference “Reflecting the Americas as a Space of Entanglement” and in the meeting of the editorial board of the Key Topics in Inter American Studies project as co-editor of a volume. Bielefeld, Germany. Workshop on Contemporary Mass Communication Theories and Research, 18 faculty and doctoral students from UAT campi in Ciudad Victoria and Tampico facilitated by J. Carlos Lozano. Seven students travel to TAMIU, the rest connected via videoconference. Global Media Journal-Mexico is an International Academic Electronic Journal, established in 2004. It is a peer-reviewed, electronic and open access scholarly journal. It has been continuously published semi-annually for the past twelve years. Communication scholars from all Latin American countries and Spain submit articles for publication in this refereed international journal. The journal was transferred from Monterrey to TAMIU’s Texas Digital Library platform, and is now being published here while maintaining an editorial partnership with Monterrey Tech, thus making this an international endeavor in line with the university’s vision. Diana Gamboa MS in Communication student at Universidad Iberoamericana-Santa Fe, Mexico City. Research stay: February 18-March 18, 2015. Supervisor in TAMIU: Dr. J. Carlos Lozano. Gonzalo del Moral. MS in Communication student at Universidad Iberoamericana-Santa Fe, Mexico City. Research stay: July 5-30, 2014.Supervisor in TAMIU: Dr. J. Carlos Lozano. In order to contribute to the internationalization of TAMIU students, the faculty of the department periodically offers study abroad programs during the summer sessions. In addition to accrediting the courses, the TAMIU students experience a different culture and interact with students and faculty from the receiving universities. 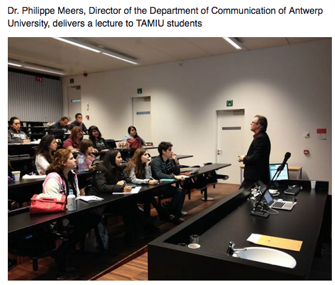 Every Summer Session 1, from 2014 up to now, the Department of Psychology and Communication has offered a Study Abroad in Belgium and Germany in which TAMIU students from different majors interact with faculty and students from Bielefeld University and Tubingen University in Germany, and Antwerp University and Ghent University in Belgium. In addition to German students joining the TAMIU classes and Belgian and German faculty or graduate students participating in the lectures, the students do multiple excursions to different cities and places (museums, castles, etc.) in the two countries like Berlin, Cologne, Brugge, and sometimes even to cities in nearby countries like The Netherlands and France. 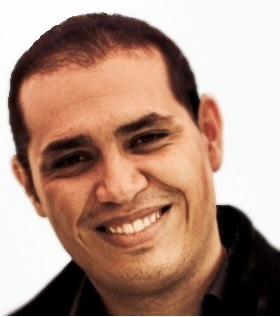 Instructor: Dr. Jose-Carlos Lozano. 8 students enrolled in this program and went to Rome and Florence photographing the people and culture of Italy and learning about Italian Cinema. Instructor: Marcela Moran. Dates: July 10-August 10, 2014. The faculty of the Department of Psychology and Communication periodically conducts research stays in foreign countries and open their courses to foreign students. Description: As part of an attempt to internationalize the research being done in its graduate universities, the Brazilian government has allocated substantial funding through competitive scholarships from CAPES (the Brazilian equivalent to the American Institute for International Education (IIE)) and CPNq (equivalent to the NSF) for universities who sponsor foreign researchers to conduct research and work with graduate students. This particular grant was awarded by a consortium of communication research universities led by the State University of São Paulo (UNESP) but also including the University of São Paulo, Universidade do Vale do Rio dos Sinos (UNISINOS) in Porto Alegre, and the Federal University of Pará in Belém. Stuart Davis stay combined graduate teaching and mentorship with research planning for collaborative projects with faculty from within the consortium. 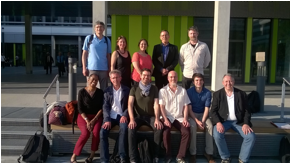 He co-taught Audience Research in Latin America with Professor Joe Straubhaar as well as offering another course on Digital Literacy and Participatory Media specifically aimed at PhD students. He served as an outside reader on the MA and PhD committees of several students defending during the period of his stay (one MA defense and one PhD proposal defense). TAMIU Role: Opening a Communication graduate class to 18 Iberoamericana graduate students via videoconference. Description: In an effort to promote the internationalization of the newly launched TAMIU MA in Communication students, the “Media, Culture and Identity in the U.S.-México Border” class shared its lessons via videoconference with 14 graduate students and four doctoral students of the prestigious Universidad Iberoamericana-Santa Fé in Mexico City (UIA). Dr. J. Carlos Lozano, TAMIU faculty member, and Dr. Maricela Portillo, director of UIA’s Ph.D. in Communication program offered the class simultaneously so that students could interact with one another, sharing experiences and opinions about culture, identity and media of the border region. The UIA students joined via BlueJeans all 15 sessions of the face-to-face TAMIU graduate class. The class was offered under the “Border and Latin American Media Studies” concentration of the MA in Communication program. Description: Global Media Journal Mexico (ISSN 2007-2031) was established in 2004 by Dr. J. Carlos Lozano when he was at the Monterrey Tech (ITESM). It is a peer-reviewed, electronic and open access scholarly journal. It has been continuously published semi-annually for the past ten years. 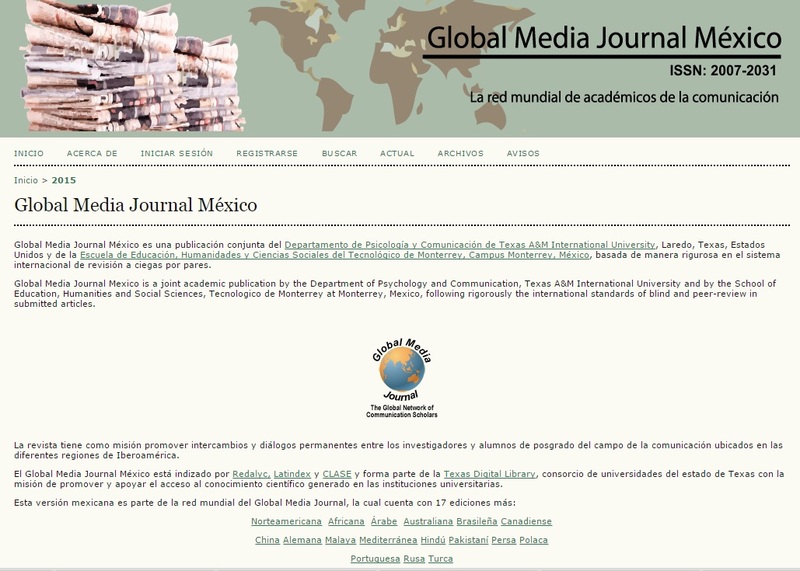 The link for Global Media Journal Mexico is https://journals.tdl.org/gmjei/index.php/GMJ_EI. Communication scholars from all Latin American countries and Spain submit articles for publication in this refereed international journal. The journal was transferred from Monterrey to TAMIU’s Texas Digital Library platform, and is now being published here while maintaining an editorial partnership with the Monterrey Tech, thus making this an international endeavor in line with the University’s vision. 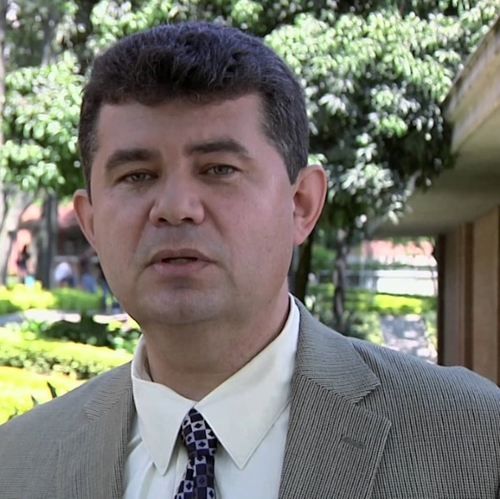 The editor of Global Media Journal Mexico in TAMIU is J. Carlos Lozano, and Rogelio Hinojosa acts as Associate Editor. 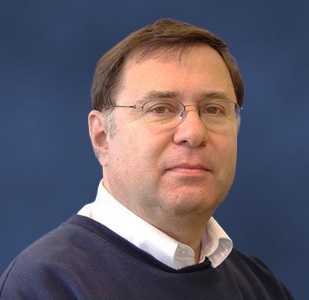 Stuart Davis is a member of the Editorial Board. TAMIU faculty/personnel involved: J. Carlos Lozano. 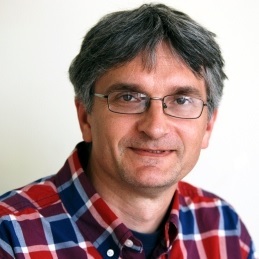 In addition to J. Carlos Lozano, the other two co-editors of volume five are Sebastian Thies (Tubingen University, Germany) and Sarah Corona (Universidad de Guadalajara, Mexico). Universities involved: TAMIU (USA), University of Antwerp (Belgium), Ghent University, Universidad Autonoma Metropolitana-Xochimilco (Mexico), Universidad Iberoamericana (Mexico), Universidad Autonoma de Barcelona (Spain). Description: Along with Philippe Meers (Antwerp University) and Daniel Biltereyst (Ghent University) from Belgium, J. Carlos Lozano, Chair of the Department of Psychology and Communication and Professor of Communication, acts as Principal Investigator and General Coordinator of an international comparative project on the history of movie houses, film exhibition and movie going in four Mexican, one Spanish and one Colombian cities. There are teams of researchers working in the project in Barcelona (Spain), Barranquilla (Colombia), Mexico City, Monterrey, Torreon, and Tampico (Mexico). Laredo, Texas is also part of the project and Dr. Lozano and a team of undergraduate Communication students, have already conducted 45 in-depth interviews with senior Laredo residents about their memories of going to the movies when they were children and youngsters, and have prepared a database of all the cinema houses that have existed in Laredo since 1900 and another database with the list of movie titles exhibited on them from 1922-1972 (one year for each decade).